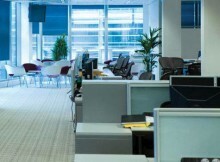 We provide a variety of office cleaning services to a wide range of clients. From estate agent offices to computer service companies, we know that your office environment projects the image of your company, it is important to project the kind of image that your clients expect to be welcomed into. 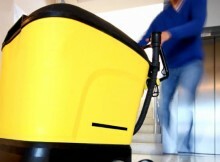 Our dedicated mobile, and always ready team are fully equipped and dedicated to providing a high quality regular communal area cleaning service to a variety of locations in many buildings across the Essex and the wider region. Our bespoke service helps our clients to provide clean, well maintained communal living areas, hallways and entrance areas to their residents. We provide our full range of cleaning services in Essex, which includes: Commercial and Contract Cleaning Services and Communal Area’s Cleaning. We also provide cleaning to building sites where their site offices and facilities require cleaning, and also show home cleaning for new housing developments. We pride ourselves in providing our clients a fantastic service at a competitive price. We Guarantee you will be satisfied with our services. If there are any issues during a clean, we will come back if needed to the cleaning site (Free Of Charge) and re-clean any areas that might fall below your, and of course our high standards. Copyright © 2019 A Cleaner Company Limited. Powered by WordPress. Theme: Spacious by ThemeGrill.